For all the talk about robots replacing human labor in the kitchen, Yelp may have just introduced a way for a computer to replace the host stand. 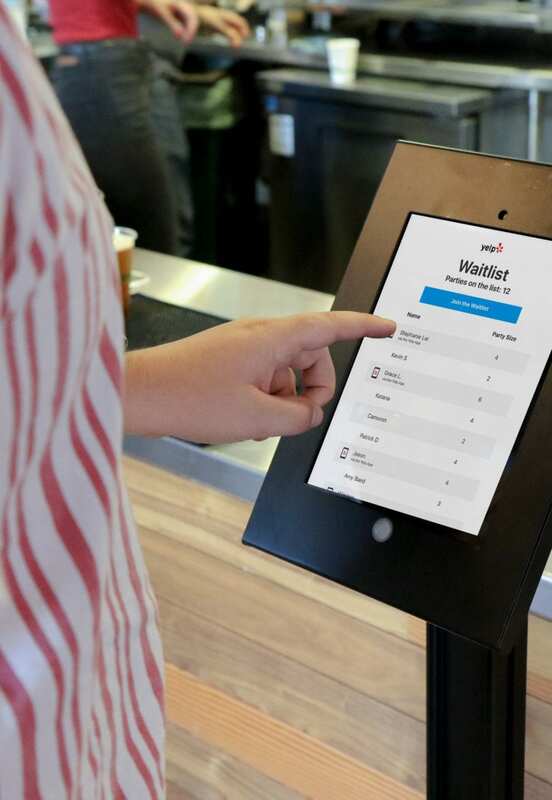 The company today unveiled Yelp Nowait Kiosks, an extension of its Nowait feature that allows diners to virtually add themselves to a restaurant’s wait list. The kiosks, which Yelp calls “particularly valuable to restaurants that don’t employ a dedicated host,” allow guests to check in and receive a notification of their position via their phone. (So, basically, a high-tech version of lists and clipboards hanging on the wall.) It’s currently in use at restaurants in Los Angeles, San Francisco, and New York. Yelp says that Nowait has saved diners more than 4.1 billion minutes of wait time to date. It’s used primarily by restaurants that don’t accept reservations.